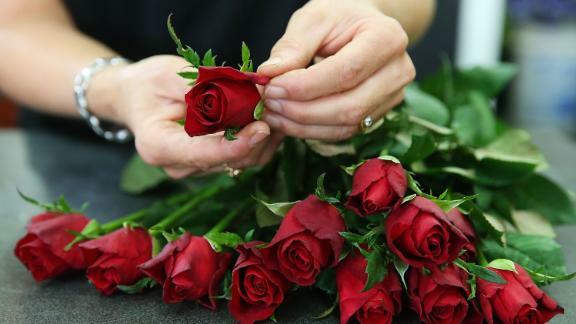 Every year, Miami's international airport is flooded with imported flowers to meet Valentine's Day demand. Here's how those flowers are stored, inspected, and distributed. A dozen roses at Kroger stores usually costs around $10. During the Valentine's Day stretch, they go for double. Chris Drummond, who owns Penney's by Plaza Flowers in Philadelphia, said the temperature in refrigerated trucks is set to 34 to 35 degrees. "It keeps the flowers from getting moldy," he said. "We want to keep the flowers really cold."